As a new Personal Financial Representative in Menlo Park, I am proud to call Allstate my company. With over 18 years in the financial services industry, my knowledge and experience help me provide customers with an outstanding level of service. I’m eager to help you prepare a strategy to achieve your financial goals. From education to retirement, I can assist you with financial solutions that can help you build your financial future. My goal is to not only help you with your immediate financial needs, but also to help you with your goals for the future. Situations such as, saving for your child’s education or your retirement. I’m committed to helping you achieve your long-term financial goals. Two office locations in the Bay Area to serve the customers. Proud to serve the areas of San Mateo. Call or email me today for a personalized financial review. 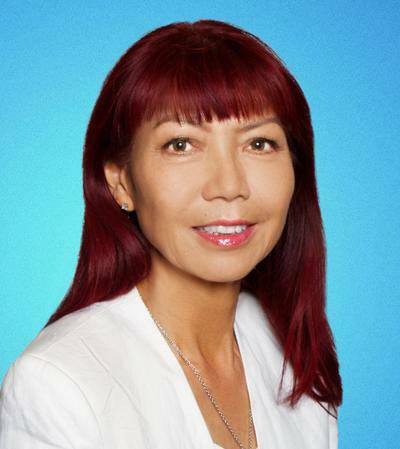 Annie Fung is insurance licensed in the state(s) of California. If you do not reside in the state(s) of California, please go to the Find an Agent section on allstate.com to search for another Allstate Agent or Personal Financial Representative.